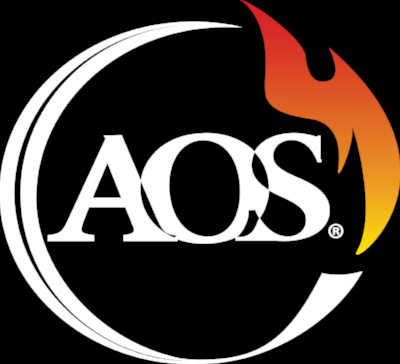 About — AOS Services, Inc.
AOS was founded in 1996 by David and Kimberly. Originally a deep water-engineering project based in Honolulu, Hawaii, they transitioned into compressed breathing air systems for firefighters. They specialized in hydrostatic testing of cylinders. Shortly after 9/11 they signed the PACAF contract with the U.S. Air Force and extended their services to areas where on-base services where crucial such as combat areas (Iraq, Afghanistan) and remote areas including Djibouti, Kyrgyzstan, Diego Garcia and parts of the Antarctic. As the needs of their clients expanded, so did the services they provide. They now offer full-service contracts to fire departments giving way to an advanced system of servicing all equipment as a cohesive program. Their clients expand across the military worldwide as well as to large municipalities in Texas. "Maintaining critical response equipment is a management responsibility to ensure your department members are ready to respond safely. Too often we as managers juggle multiple contracts sustaining department response equipment. Something will always be missed as communication with multiple/separate companies for time frames of service can cause delays, create cost overruns, conflicting schedules, quality assurance inspections and so on. The need for a “one stop shop company” maintaining/re-certifying your department’s critical equipment not only makes sense from a management perspective, but fiscally as well. As our department is a CFAI Accredited Agency, we had to show credibility and proof we were maintaining our response equipment. I have 11 fire stations, multiple apparatus to test, hose testing, SCBA flow testing/bottle hydrostatic testing , confined space carts, high pressure hose testing, hazmat suit testing, it’s a long list maintaining compliancy for your department. There are a number of companies out there to choose from, I have utilized a couple of companies in the past. AOS hands down has provided the best level of customer support and compliancy testing. AOS took a previous disorganized testing/maintenance and recertification program, built it to our department specifications and needs and always went the extra step ensuring our satisfaction. The proof we needed to become CFAI accredited is built into their service they provide. The AOS on-site technicians are of the highest quality; efficient, skillful and hardworking. "